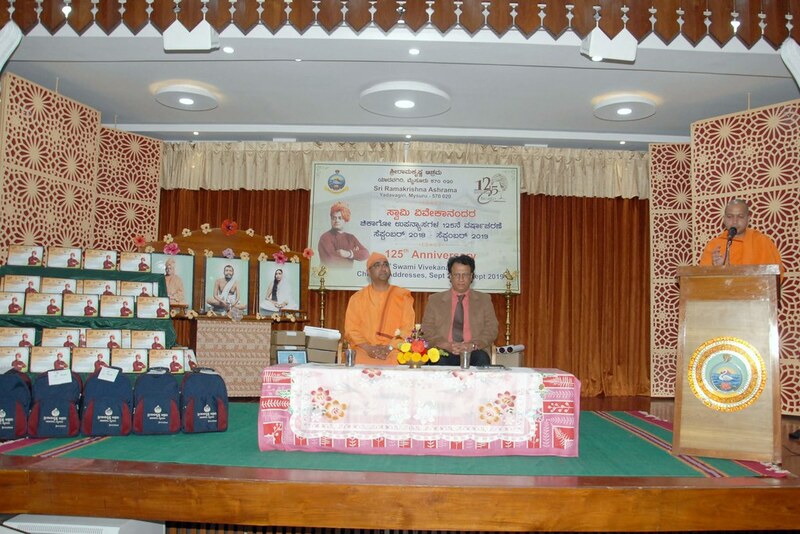 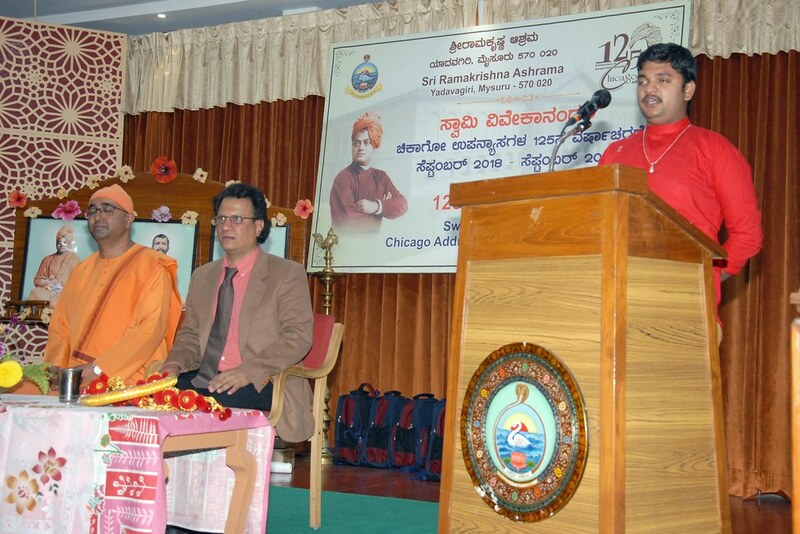 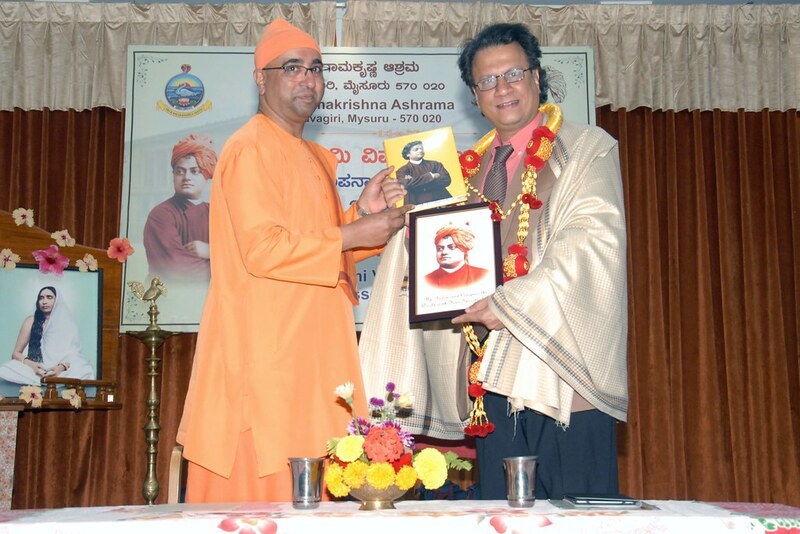 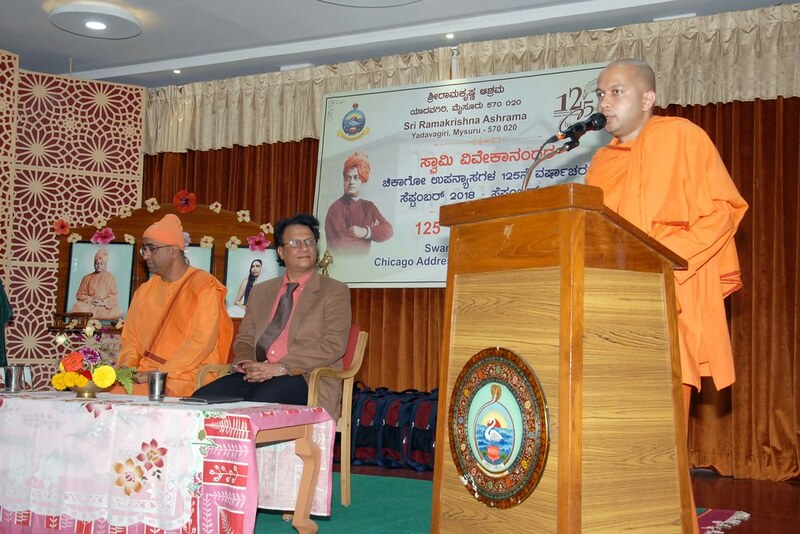 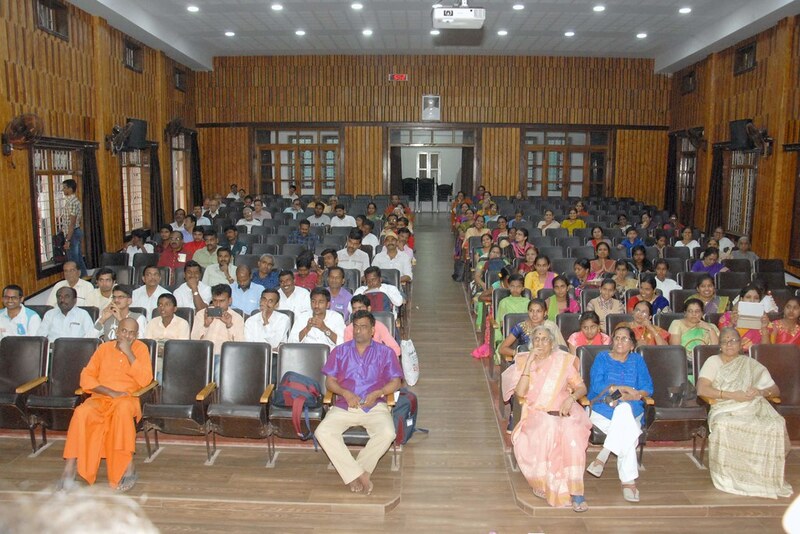 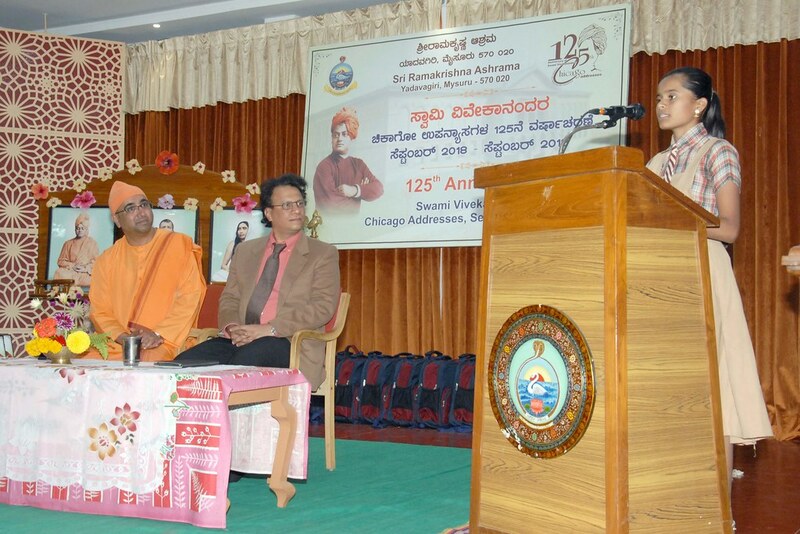 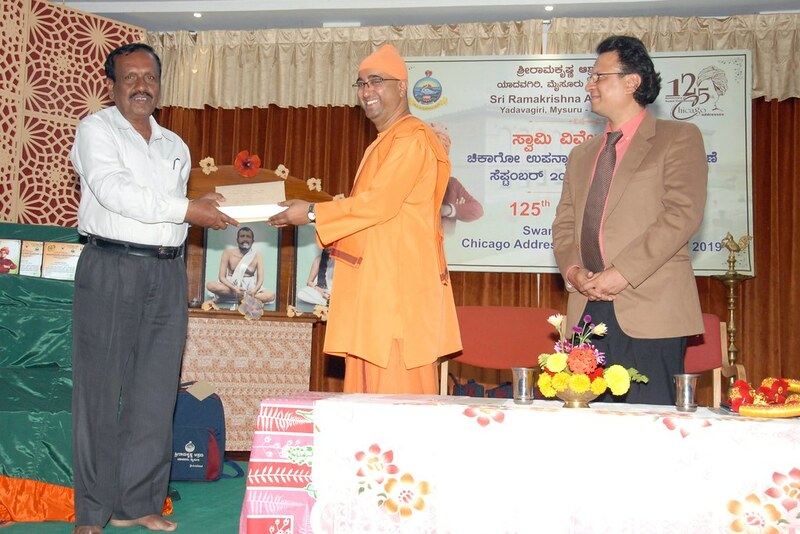 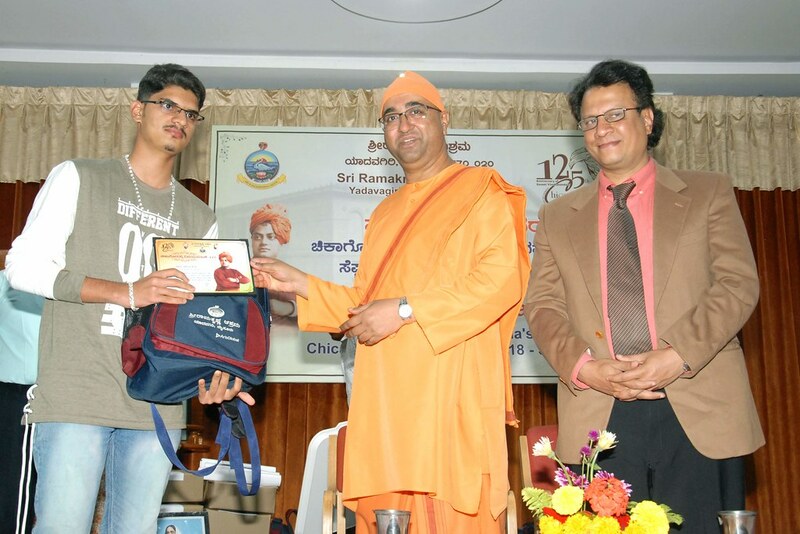 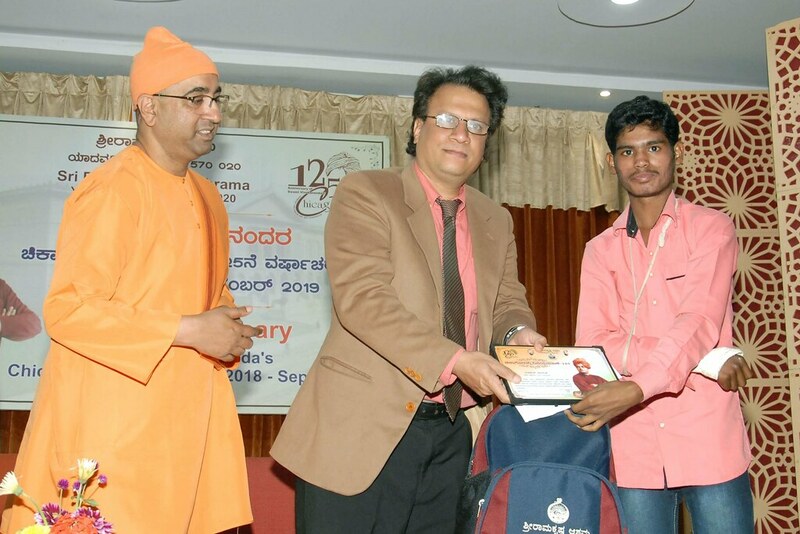 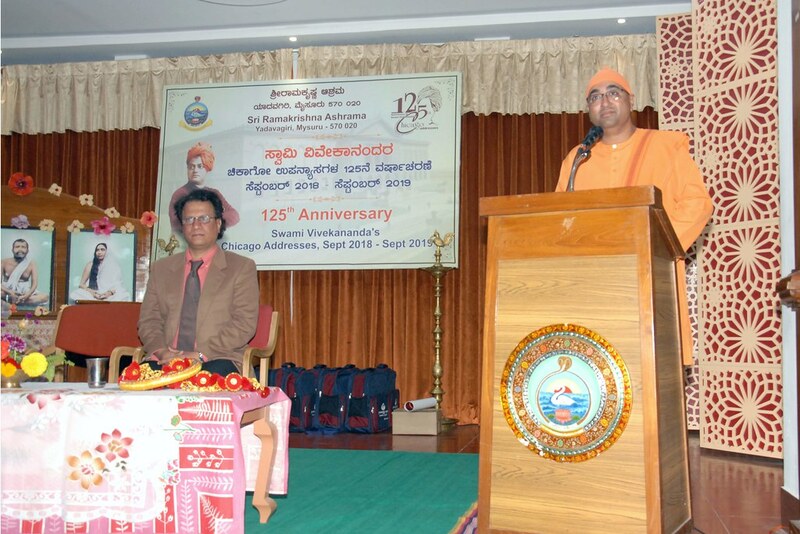 On the occasion of the 125th Anniversary of Swami Vivekananda’s Chicago Addresses, Sri Ramakrishna Ashrama, Mysuru conducted a written quiz competition (Sarada Jnanasudha) on the Kannada book Chicagodalli Vijayapatake. 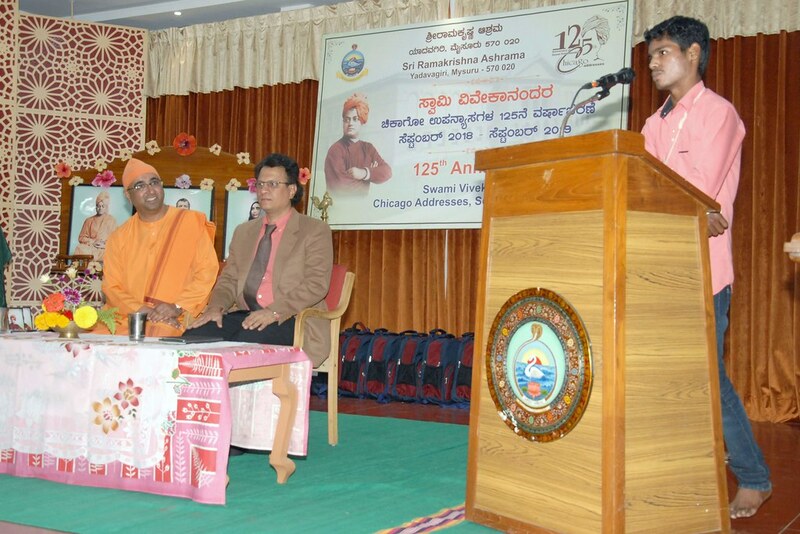 About 44,216 students and teachers from 452 Schools and Colleges of Karnataka participated. 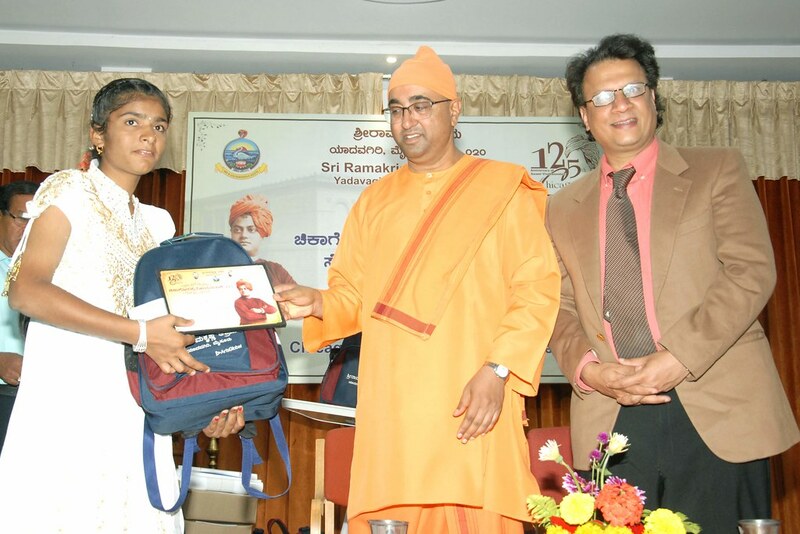 Students have read the book and answered the questions, thereby ensuring that the message reaches so many homes. 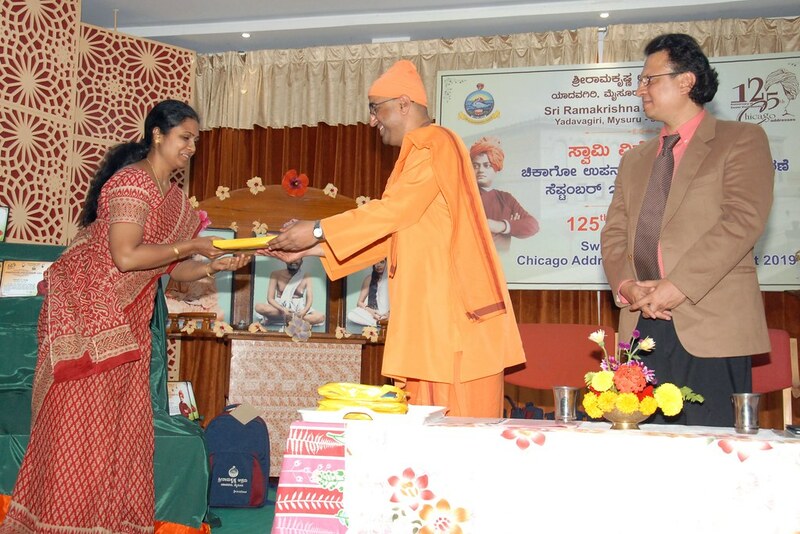 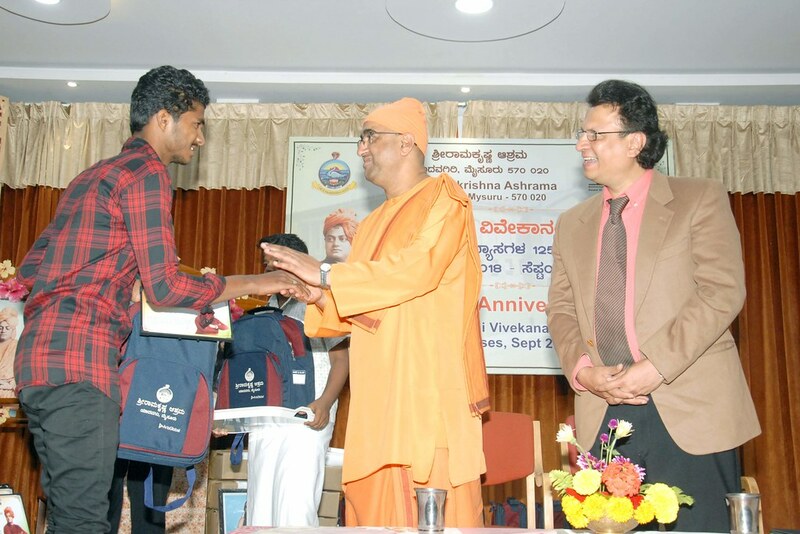 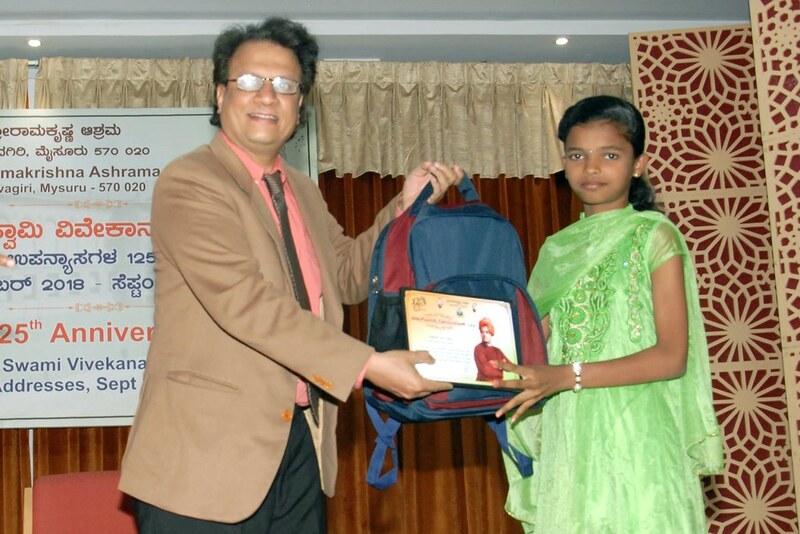 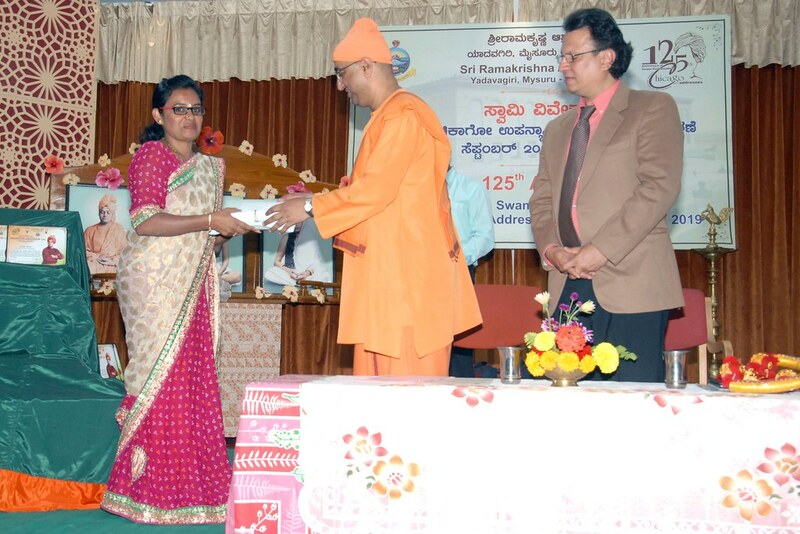 Prize winners were invited to the Ashrama and were felicitated in a program held on 31 December, 2018.